This time with a well-known personal favourite I’ve been pestering you guys with for quite some time, a.k.a. the all-time epic J.R. Ward. 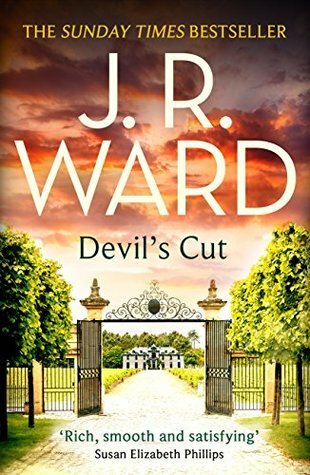 Today’s book review is “Devil’s Cut” the 3rd book (and the last one, unfortunately) in the Bourbon Kings series. I got all my long-awaited questions answered and i got to see front row how everything worked out for everyone. If some of you, beloved readers, remember “The Angel’s Share” review from a while back, then you’ll no doubt recall my comparison to that delicious old-school soap opera “Dynasty”. You will be happy to hear that “Devil’s Share” maintained the same air and writing style we all came to love and worship. This series has followed the Bradford family through lots of good and bad experiences (well, mostly bad to be honest). We finally find out who killed Lane’s father, we get to see wayyy more of Gin’s and Samuel, who had quite the chemistry going on as lovers and we witness how everything comes together in the end. Now, if only that pesky pride would stop getting in both their ornery ways, we’ll be all set, as far as Samuel T. and Gin are concerned. I’m very sure it’s not just me who has been valiantly rooting for Gin and not so secretly hoping that she finally gets to have her much deserved happy ending. She did grow up and became more mature as far as decision making goes, and we have to admit that we all love some serious character development in a good book. Add to all this goodness a compelling Kentucky setting and the usual scandalous moments we have come to expect from the Bradford family and I foresee some very generous rereads in the future for this one. A big THANK YOU to Piatkus Books for providing me with a copy of Devil’s Cut for review.